Why outsourced NOC solutions rarely work. The concept of a NOC (Network Operations Centre) or offshore “IT Outsourcing” is very appealing. To be able to outsource operational requirements to a skilled third party, for a fixed fee or monthly subscription, and scale up/down as needed. It’s very appealing to outsource your problem and maybe save some money as well. Your problem typically is either a lack of resources or excessive cost with delivering elements of your services. IT Outsourcing is especially appealing for non-customer-facing work such as network monitoring, maintenance, software development or software testing. for a very specific kind of business. For everyone else offshore IT outsourcing with this model becomes a disaster that damages client relationships, makes your local team stressed, and wastes money. The reason why Tech Elite’s model works so well – is that we’ve done the opposite. Offshore NOC and IT Outsourcing CAN work for big companies. It could THEORETICALLY work for small companies – and the brochures will tell you it does. But the reality is that smaller businesses don’t have the quality of processes, the quality of documentation, the quality of training, OR the availability of management attention that is so critical to grinding though the initial 6-12 months. If you can’t pull apart and perfectly document every step of every process that you want to outsource, then you can’t effectively outsource it. Every little gap becomes a big problem. When small and medium businesses try to outsource, they make bad assumptions about the level of skills of the workers, and the level of documentation required. They assume that the solution will be taking work and hassle away from them, but it does the opposite. What they find is that work was not completed, or is done wrong, communications are not up to scratch, skills are mismatched, and as a result service levels degrade and their clients are upset. Then you’ll frequently find that staff turnover in a NOC is much higher than ideal because of your inability to ensure their salaries are competitive, the staff have multiple bosses, and also they have no clear career trajectory. NOC jobs are usually just a stepping stone to a better job. 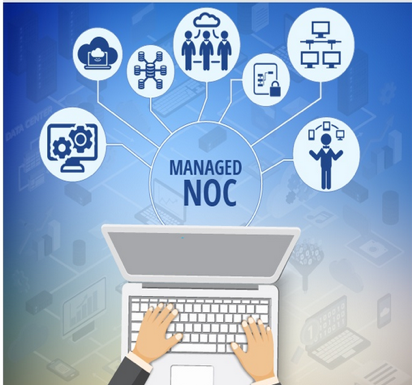 If you went and visited the NOC before you started outsourcing, and you watched exactly what they do while they are starting with a new client from scratch, then you would realise the enormous amount of work that you are going to have to put in, before you get a return from your NOC, and before you can sleep at night knowing your client relationships are not going to be damaged. In short, it’s not that NOC and IT Outsourcing solutions can’t work, it’s that they are frequently sold to businesses that are too small or too busy, or too disorganised – so they’re simply never going to do all the grind work necessary before value and consistency start to appear. This is why our specialist staff leasing solution works so well. Because our solution does not try to force you to change the way you run your business. We just tweak what you already do, and help you build a great team – you keep doing what you’re already good at. You can hire a couple of high skill technical people, and integrate them gradually, even if your documentation is not perfect, and even if you are somewhat time-poor. It’s more like hiring back home in that your entire team can assist to gradually train up the new offshore staff, and integrate them into your existing team. They are your people, so you can task them and re-task them dynamically the same as you do with the local team. And once you’ve got two staff in your Tech Elite team who are really familiar with your processes and your clients, then THEY will be able to help train the next guys. Don’t get me wrong – this isn’t magic. You still DO need to be hands-on with training and reviewing their work and making adjustments. But as long as you can spare some time to let us coach you on avoiding problems and tweaking productivity, then you’ll achieve good results rapidly. 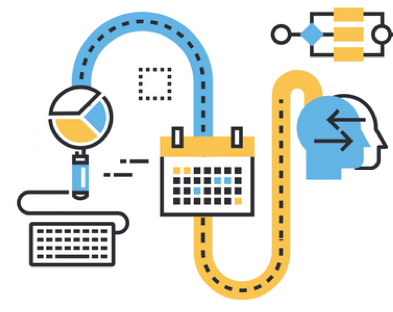 Certainly, the more organised you are, and the better documented your processes, the faster you’ll get your offshore team up to high productivity. Our initial consulting will help with that. But you don’t have to be perfect to make a start and get great value, quickly and safely.